Dr. Byrnes is a 1988 graduate of New York Chiropractic College. 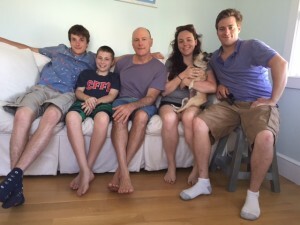 Immediately following school he practiced in Midtown Manhattan at the Hoffman Holistic Medical Center. In 1990 he co-established South Shore Family Chiropractic. Over the past thirty years, in practice, Dr. Byrnes has passionately pursued a better understanding of the role a proper functioning nervous system plays in empowering the human body’s vitalistic nature. 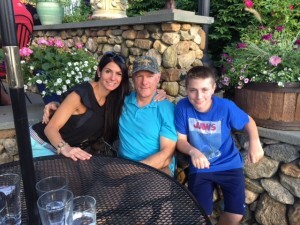 Outside the office Dr. Byrnes enjoys numerous outdoor activities with his wife and beautiful children. Dr. Bill is a proud member of the International Chiropractic Pediatric Association. We have many years of experience and have had great success. Patients come from Weymouth, Hingham, Quincy, Braintree, Hull & more to South Shore Family Chiropractic because they know they will receive only the finest quality care. We have a genuine concern for your well-being. Our patients truly are treated as though they were part of our “family.” You are joining many of your neighbors who have chosen the natural, drugless, and chiropractic approach to good health. Chiropractic is the healthcare of the 21 st century; it is an exciting new world of healing and health optimization. People use chiropractic as a method of keeping their health at its peak: for better sports performance, higher resistance to disease, clearer thinking, a more comfortable pregnancy and more energy. Chiropractic care has proven to be a safe, natural, drugless way to health for millions of people around the world. Please remember that your doctor of chiropractic’s purpose is the removal of vertebral subluxation (spinal nerve stress) to awaken your body’s inner healer. 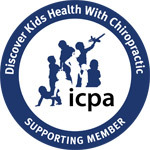 We are proud members of the International Chiropractic Pediatric Association. The purpose of our office is to assist each individual in the correction of vertebral subluxation, both originally and on a continuing basis. We do this because of our absolute conviction that everyone’s body functions, performs, and expresses health better when no subluxations are present.